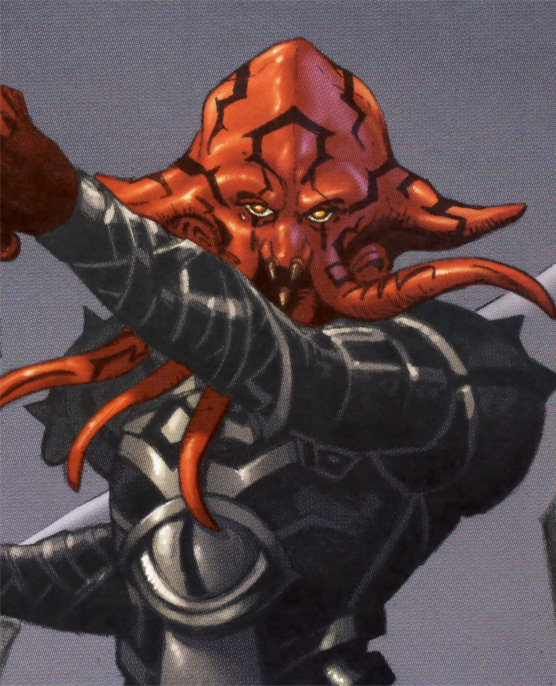 Charcter Bio - Darth Maleval was a male Quarren Sith Lord of the One Sith, serving under Dark Lord of the Sith Darth Krayt and his Empire, after Krayt deposed Galactic Emperor Roan Fel. By 137 ABY, many units, such as the 908th Stormtrooper Division, had defected to Emperor-in-exile Fel during the Second Imperial Civil War. To ensure the loyalty of Krayt's troops, Maleval was given command of the 407th Stormtrooper Division, which was based on the planet Yinchorr, as they attempted to recapture the base of the 908th on Borosk. When the Battle of Borosk broke out, Maleval led the 407th division in recapturing the base and ensuring the complete destruction of the 908th down to the last man. After the battle, Maleval ordered Lieutenant Gil Cassel of the 407th to kill his brother, Captain Jared Cassel of the 908th, who had defected to Fel. Maleval killed both Cassel brothers when Gil refused, causing trooper Hondo Karr, of the 407th's Joker Squad, to attack Maleval. Before he could execute Karr, Maleval was shot and killed from behind by another trooper, Anson Trask. 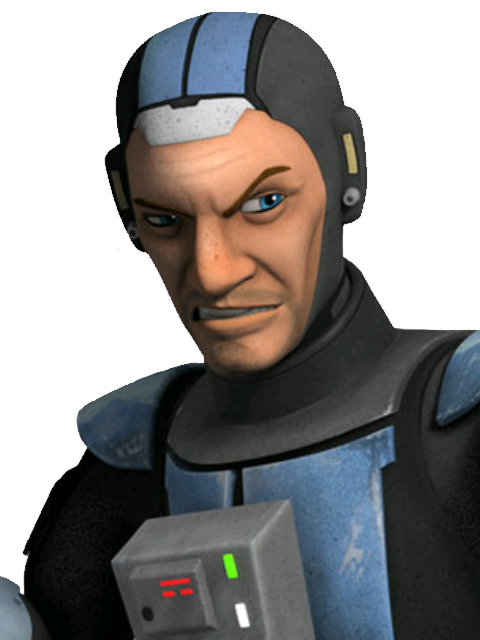 The surviving members of Joker Squad covered up the event in the report to their superiors, stating that Maleval had been killed in battle, and that Karr was vaporized in an explosion, allowing Karr to leave the Empire and later join the unified fragments of the Galactic Alliance military, the Galactic Alliance Remnant. ordering Lieutenant Gil Cassel to kill his own brother to prove his loyalty, and killing both when he refused. Maleval was a skilled wielder of both the lightsaber and shock whip, often using both in battle to devastating effect?he was able to cut his way through the stormtroopers of the 908th with ease. 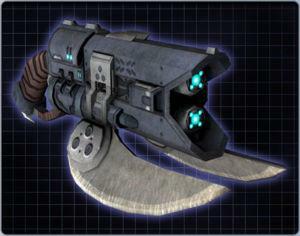 He would use his shock whip to grip his opponents and electrocute them, taking pleasure from the pain it caused. Apart from his skill with melee weapons, Maleval was strong in the dark side of the the Force, capable of using telekinesis to push enemies with a powerful wave of Force energy. 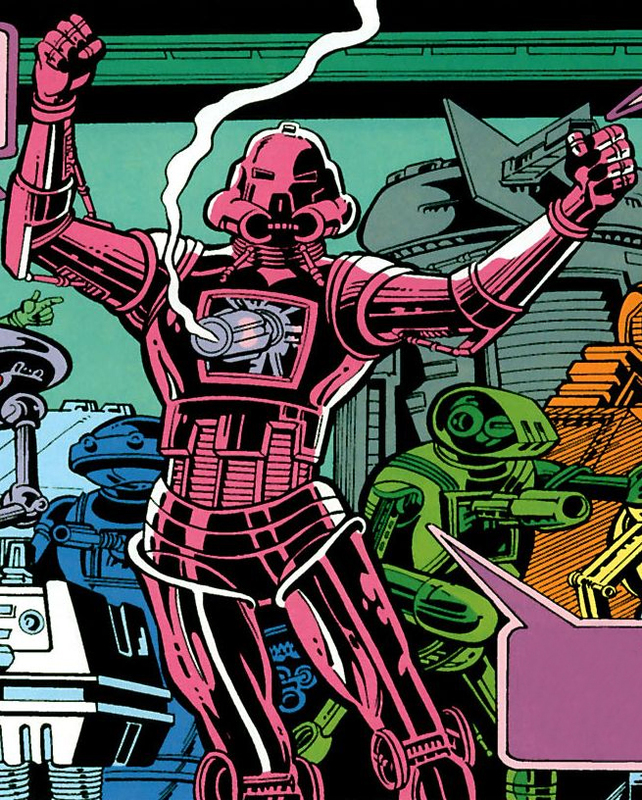 He could also sense incoming attacks and use that knowledge to react accordingly, as seen when Hondo Karr attacked the Sith Lord. Despite his ability with the Force, Maleval was unable to sense the impending attack by stormtrooper Anson Trask until it was too late, leading to the Sith Lord's death.